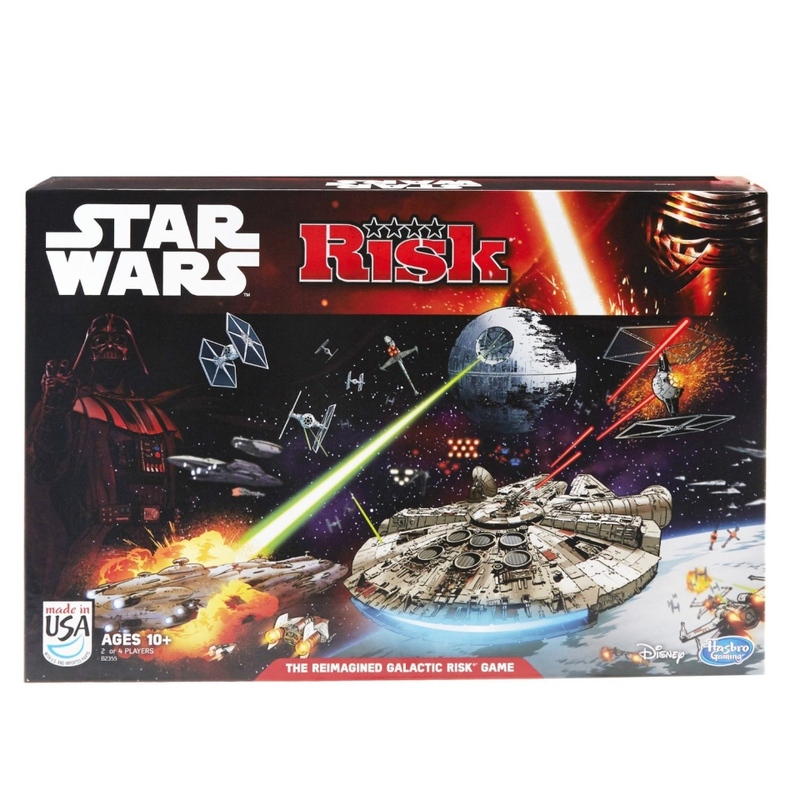 Now is your chance to conquer the galaxy with the new Star Wars Risk. Channel your inner Admiral Ackbar and formulate a strategy that will crush the Empire once and for all. The latest version of the classic board game now takes on a Star Wars theme. 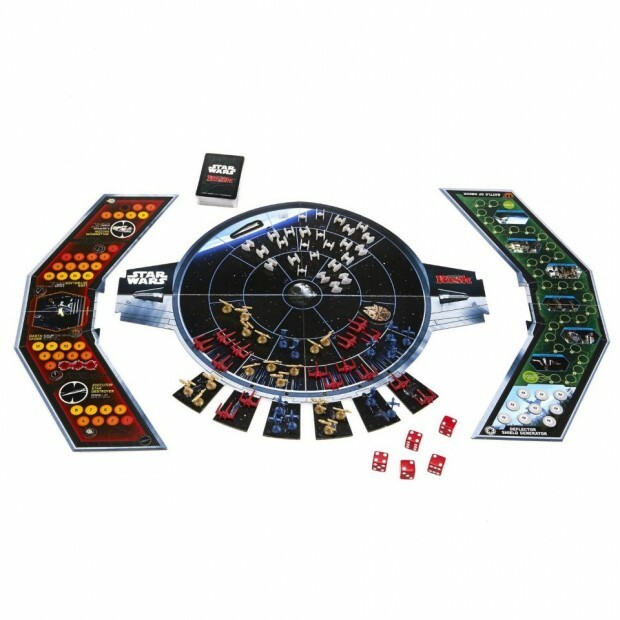 You can choose the Light or Dark Side and battle for the galaxy on a TIE-Fighter shaped playing board with three areas of combat. 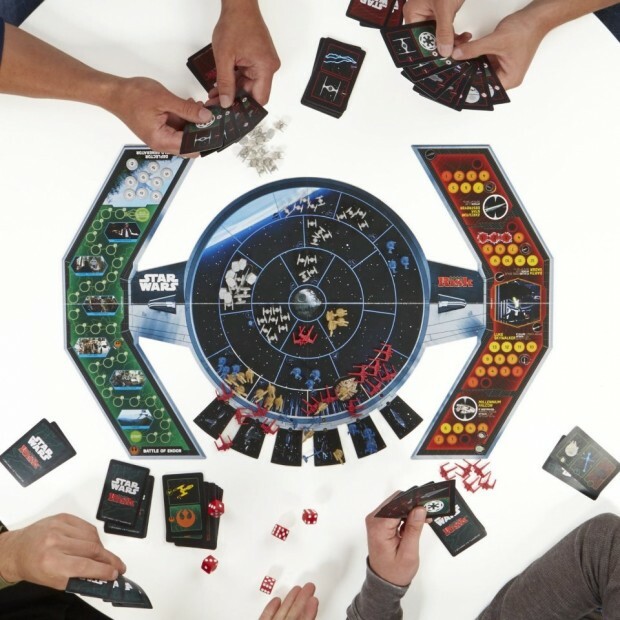 You can play with two players or two games. 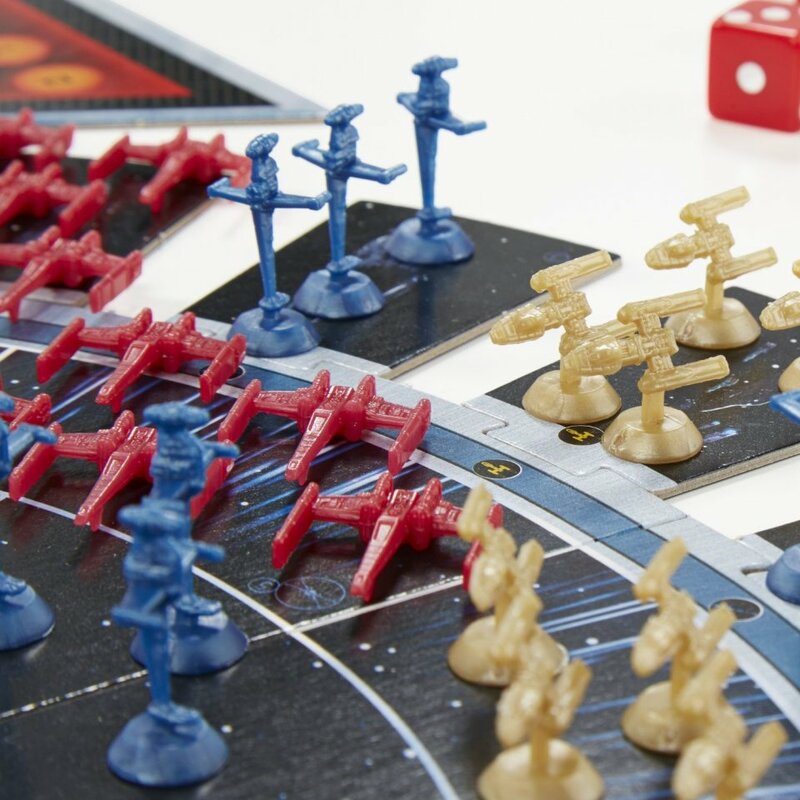 The set comes with everything you need, including a ton of tiny X-Wing, Y-Wing, and TIE fighter playing pieces.